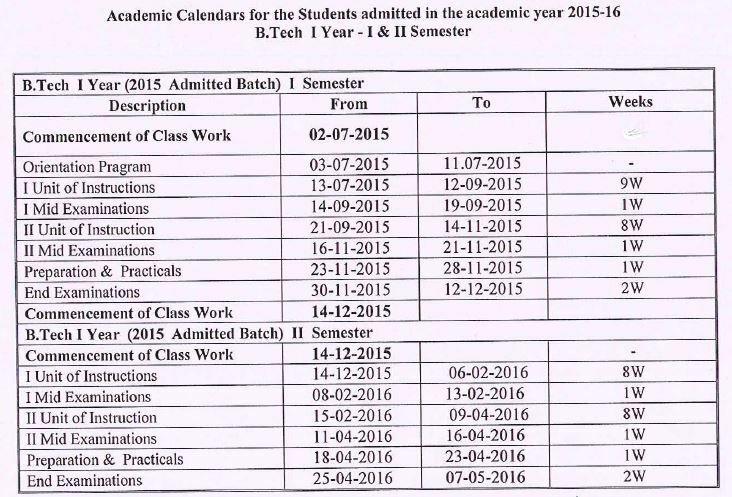 JNTU Kakinada Released B.Tech 1-1 & 1-2 Sem Academic calendar’s 2015-16. Academic calendars For the students admitted in the academic year 2015-16.
please give me 1-1 revaluation/recounting results date and fail subjects exam fee due date. We want Mega supply sir. yaeh best of luck for yours best exam.